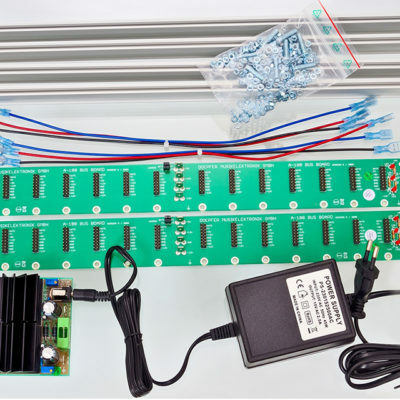 The power bundle for your 12U eurorack case. • 1 x set of hook up wires. The TipTiptop Audio Zeus Power Bundle is a great solution for those looking for studio quality power for their eurorack modules. You are not dealing with hot AC power lines, therefore, making it a safe choice for installing yourself. The Zeus Studio Power can be the heart of your system but also be used to provide power for much larger systems. At SynthRacks we have installed many of these setups in our cases and will continue to offer TipTop Audio Zeus system to be installed in cases we are building for you. 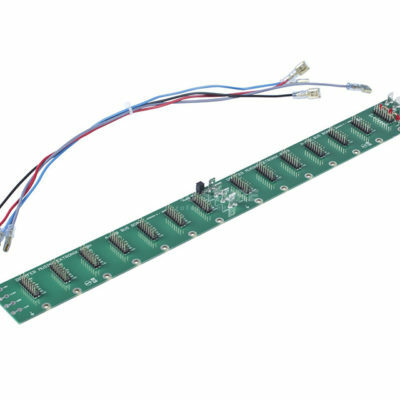 The active Zeus Studio bus are the linear power regulators, aimed at providing robust, low noise studio-grade power to deal with today’s growing challenge of a great section of Eurorack modules from many different manufacturers that must share the same power bus. The Tiptop Audio Zeus Dual Access is a 4HP front panel that provides a simple solution for linking up to three Zeus Studio Bus in 2 systems. It has 2 number 5.5 x 2.5mm centre pin positive DC sockets, 1 for each of the Cincon power bricks with an on/off switch for each system . 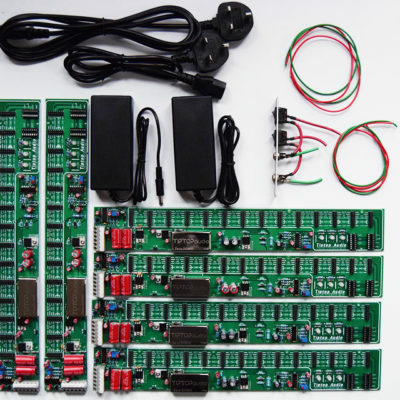 t It comes fully assembled and wired with 16AWG wire and plated copper terminals leads that require no additional assembly or special tools for connecting to a Tiptop Audio Zeus Studio Bus. 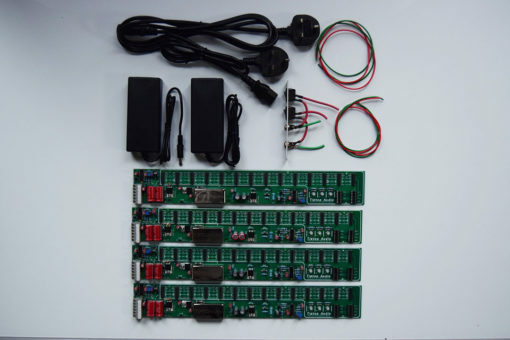 The Zeus Studio Bus offers a total of 16 module connectors, 14 of them are 16-pin headers for connecting eurorack modules and two of the connectors are for analogue system modules. The additional 5V voltage needed by some modules is being generated internally by the Zeus Studio Bus. Three LEDs show the active voltages 12V, -12V and 5V. The maximal current per bus board is 1250mA at 12V, 800mA at -12V and 300mA at 5V. There is inbuilt circuit protection. Please note limits on the individual studio bus boards as stated above. Cincon-TTA power supply is the 4.6amp power unit and can run up to three Zeus Studio Bus’. The Cincon switching power supply works with 110v to 240v and will be supplied with a 13 amp mains lead either UK, Europe or USA according to the country of purchase or as requested.